We need your help to spread the word about the Shabbat Project Toronto. ​--your school, synagogue, and friends. 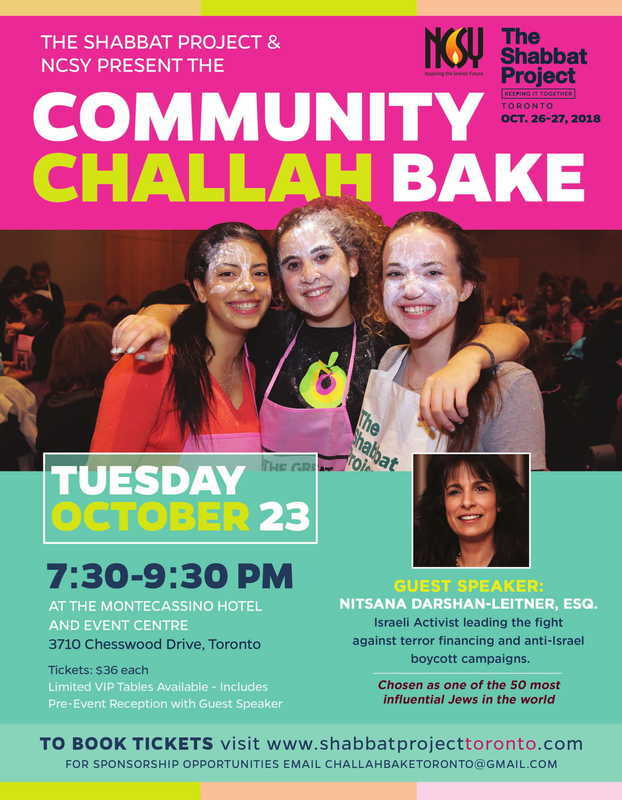 Download our Community Challah Bake flyer and distribute. Post on your bulletin board, make multiple copies to hand out, post on your social media feed, newsletter, and/or create a Facebook event! ​We thank you for getting the word out. Download the Shabbat Project Toronto general awareness flyer and distribute . Post on your bulletin board, make multiple copies to hand out, post on your social media feed, newsletter, and/or create a Facebook event! ​We thank you for getting the word out.